In this tutorial, you will learn how to upgrade JV-Relatives on your Joomla website. The procedure to upgrade is same as that of a fresh installation. Please proceed to follow the steps of a fresh installation of JV-Relatives, without uninstalling it. JV-Relatives will automatically detect an upgrade and will do the needful. 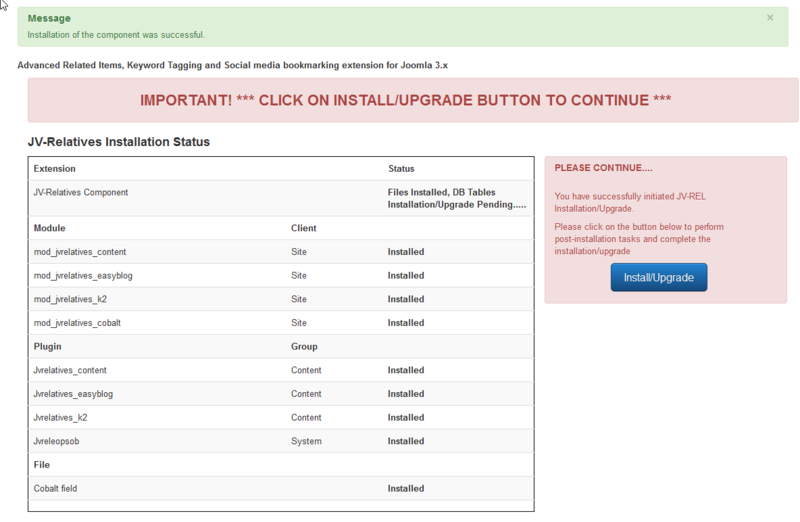 Please note that the upgrade process will NOT delete or remove your existing JV-Relatives configuration. Though it is absolutely safe to continue, we strongly recommend that you take a backup of database before any upgrade.